The Sedona Chamber of Commerce & Tourism Bureau donated $100,000 to the Sedona Red Rock Trail Fund on February 28, 2019! During the annual Sedona Trail Keepers donation event, $35,000 was donated from 35 local business sponsors with an equal match of funds from visitor bed tax contributions from the Chamber’s tourism budget, totaling $70,000. An additional $30,000 was donated to the Sedona Red Rock Trail Fund for the development of the Western Gateway project. With the long-term partnership of 35 committed sponsors since 2017, the Sedona Chamber of Commerce & Tourism Bureau (SCC&TB) will generate and donate $310,000 for the Sedona Red Rock Trail Fund (SRRTF) by 2022. We all know the economic boon that tourism brings our community, but we also realize the not-so-great impacts to our land and resources. That’s why the Sedona Chamber of Commerce & Tourism Bureau developed the Sedona Trail Keeper Program in 2017. This program has given businesses the opportunity to help sustain Sedona’s most grand attraction – the trail system. Journey into the high desert on a quest for relaxation and adventure at Arabella Hotel Sedona, and discover amazing views of the dramatic Red Rocks at our adobe-style hotel. Relax at our family-friendly oasis with easy access to miles of hiking and biking trails, our hotel invites you to embrace the relaxed spirit and vital energy of Sedona, Arizona. From the Wildlife Safari to Diamond Back Gulch to Seven Canyons, Safari Jeep Tours offers a variety of tours to please every member of the family. Safari guides are the most educated and experienced in Arizona. With Jeeps outfitted for your ultimate safety and comfort. Ride with the best. Life is a Safari! AWD LAW represents clients in a variety of areas, including civil litigation, family law, bankruptcy, personal injury, estate planning, immigration, criminal defense, DUI/DWI, real estate and business formation and counseling. AWD LAW has a reputation of being competent and cost-effective. Rent a jeep and do your own self-guided tour! New Jeep Wrangler Rubicons with auto transmissions, A/C, 2″ suspension lifts, 32″ offroad tires, and enclosable soft tops. Permitted on ALL open Sedona trails. Easy, moderate or adventurous trails. Free trail info & maps, driving tips, and ice chest with ice. Fun for the whole family! Located in uptown Sedona, on Oak Creek! Steps from restaurants, shops, and galleries. As the tallest building in Sedona, the 5-floor hotel offers spectacular unobstructed red rock views from private balconies and/or patios (town views available). Included with your stay: a delicious FREE hot breakfast buffet, FREE Wi-Fi, and Clubhouse access with in & outdoor pools, whirlpools, steam room, sauna, game room, and more! Creekside Villas sleep up to 6 on the banks of Oak Creek. Hotel Amenities: 46” LED TV’s, DVD Player, pillow-top mattresses, in-room coffee, refrigerator, microwave, and more. The Best Western PLUS Inn of Sedona’s award winning design allows 360 degree views from our four Terraced Promenade Decks. Our Decks are a great place to relax and take in the beauty of Sedona. We have cushioned seating areas and fire pits on upper terraces. We offer Free Shuttle Service for our guests to Uptown, the gallery district, and the most popular shopping and dining! In the morning enjoy our Free Hot Breakfast Buffet, then chat with our Concierge for great ideas. Commercial and residential construction with over 36 years experience. Proven track record of completing projects on time and on budget with ultimate customer satisfaction. We will foster the relationship between the owner, architect and builder. Unique, high end, western-themed boots, apparel, jewelry, belts, purses and more for the discerning woman. Diamond Resorts International® is one of the largest hospitality companies in the world. The ideal set-up for aspiring globe trotters, Diamond Resorts offers a network of more than 420 vacation destinations in 35 countries with destinations throughout the continental United States and Hawaii, Canada, Mexico, the Caribbean, South America, Central America, Europe, Asia, Australasia and Africa. 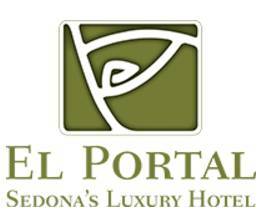 El Portal Sedona Hotel is a AAA Four Diamond hotel offering guests unpretentious luxury. We are a true pet friendly hotel, with no pet fees. Experience the dramatic views, relax in the romantic courtyard, walk to Tlaquepaque Arts & Crafts Village, Uptown, or take a tour or two - we offer unparalleled concierge services for the Sedona area. We have been named one of the eight best hotels in the U.S. by Frommer’s and the New York Times, and was voted as one of the top ten hotels in the Southwest by readers of Condé Nast Traveler. Enjoy Sedona’s scenery with private, one-story adobe accommodations, all with private viewing decks. Jonathan Burgueno and Nicholle Miller of Fairway Independent Mortgage Corporation in Sedona, AZ, are committed to providing the best home loan solutions for their customers. Backed by excellent operations and a company that truly cares about people, their goal is to help everyone achieve the dream of owning a home. Copyright©2018 Fairway Independent Mortgage Corporation. NMLS#2289. 4750 S. Biltmore Lane, Madison, WI 53718, 1-866-912-4800. Other restrictions and limitations may apply. All rights reserved. AZ License #BK-0904162. Licensed by the Department of Business Oversight under the California Residential Mortgage Lending Act, License No 41DBO-78367. Licensed by the Department of Business Oversight under the California Finance Lenders Law, NMLS #2289. Loans made or arranged pursuant to a California Residential Mortgage Lending Act License. Farm to table café & market. Full coffee bar, breakfast, lunch, craft beer, wine & garden patio. 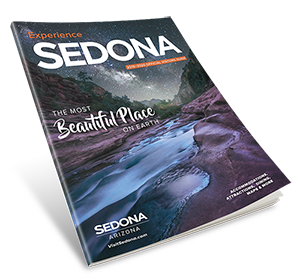 Keep Sedona Beautiful is a non-profit organization committed to protect and sustain the unique scenic beauty and natural environment of the Greater Sedona Area. Our aim is to preserve the wonder of the Sedona area's scenic natural beauty now and in the future. Our activities range from education and advocacy to hands-on tasks such as litter lifting and preserving the quality of Oak Creek, to maintaining Sedona's dark, star-studded night skies. You can contact KSB at info@keepsedonabeautiful.org or by calling 928-282-4938. Named #1 Hotel in the Southwest Condé Nast Traveler Reader’s Choice Awards. AAA Four-Diamond luxury accommodations in 88 meticulously appointed cottages & guest rooms in 6 distinctive settings: Creekside, Vista, Spa and Garden Cottages, the Lodge and the Creek House. L’Auberge is a place where extraordinary memories are created, romance rekindled and where unplugging results in true connection. Creekside Dining at Cress on Oak Creek & Etch Kitchen & Bar. Linda Rogers is the Sedona Branch Manager and Sr. Loan Officer for Loan Simple Inc. Linda and her team take the complication and frustration out of mortgage lending. Fifteen years of experience have resulted in thousands of satisfied customers and many industry accolades, including Linda being named one of MPA’s Elite Women in Mortgage. 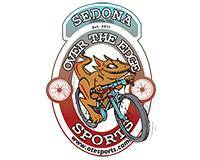 Sedona’s premier bike shop for all your mountain and road cycling needs. Bike rentals, demos, sales, repairs, clothing, mountain bike trail maps, and friendly service. Bikes and gear from Trek, Niner, Intense, BMC, Troy Lee Designs, Club Ride, Camelbak, Osprey, Giro, & many more. Come ride with us! Since 1960, Pink Jeep Tours has been providing the most talked about off-road adventures in the Southwest. Our award-winning excursions are known as the premier “must-do” tours in Sedona. Whether you’re seeking rugged adventure, Native American history and culture, nature, geology, or panoramic vistas, Pink Jeep has the right tour for you. You Gotta Do It! Northern AZ’s only LOCAL merchant services provider since 2003. Donating 20% of our GROSS profits. 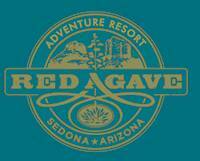 Sedona’s red rock adventure resort directly bordering Coconino Ntl. Forest with Sedona’s most breathtaking views. Lodging includes 9 A-Frame chalets and 5 suites each w/kitchen, breathtaking views, Pool, Jacuzzi, a private gate leading to trailheads, fire ring, grills, recreational retreat & concierge services. Comprehensive dentistry : implants, same day crowns, emergency service and short-term orthodontics. Sedona’s Top 1% producer for 7 years. Specializing in homes & land she provides “White-glove” service in all price points. Is an expert in real estate marketing, offers highest web visibility for all her listings, reaching top tier clientele, nationally and internationally. Speaks Italian & French. SOAR is a nonprofit organization focused on preserving for future generations the natural beauty of the Greater Sedona area. We invite you to join us in the effort to protect the National Forest of this spectacular Red Rock country from resource exploitation and development. You can contact us at saveourancientredrocks@gmail.com. A family resort located on the western edge of Sedona. Individual modular cottages, full kitchen, microwave convection oven, TV’s, DVD/VCR player, CD stereo, and jacuzzi tub. The resort also offers a large pool, 2 spas, free laundry facility, fitness room, mini-golf and free WiFi. Stay at Sedona Reál and expect genuinely friendly service, flexible room types and resort-like amenities. 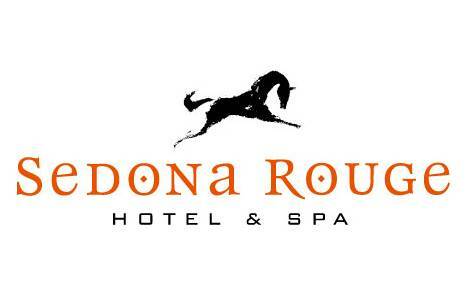 In the quieter West Sedona area, our hotel is easy to get to. A complimentary hot, delicious breakfast, free WIFI, and ample parking are included in your stay. Go to our site for the best rates! 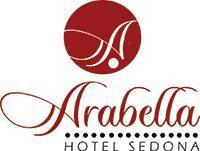 Our AAA approved hotel is set in west Sedona, convenient to shopping and touring Sedona. This sophisticated property is home to Reds restaurant and lounge and, The Spa at Sedona Rouge, featured in Condé Nast Johansens Luxury Spas guide. Guest rooms boast dramatic colors, rich fabrics and sensual Andalusia motifs. Amenities include wireless Internet, fitness facility, pool and Jacuzzi, steam rooms, private outdoor hydro-tubs, and the red rock viewing and stargazing terrace. Seven Canyons is a private golf club open exclusively to club members & guests of Enchantment Resort. Trail Sports bike shop provides locals and visitors alike with great bikes, epic tours, friendly service and an abundance of local knowledge. A Sedona landmark since 1970, Tlaquepaque treats visitors to an excellent collection of over 40 galleries and shops bordered by 4 superb restaurants. Modeled after Guadalajara, Tlaquepaque offers outdoor dining as well as events, private parties and weddings. Open daily. Variety of shops & galleries. The Singletrack Futures Foundation "SFF" was established in Tampa Florida in July 2013. SFF's focus areas are kids bicycle programs and non-motorized trails. SFF has funded both focus areas in Metro Washington, DC as well as Sedona, AZ. Grants are by invitation only.